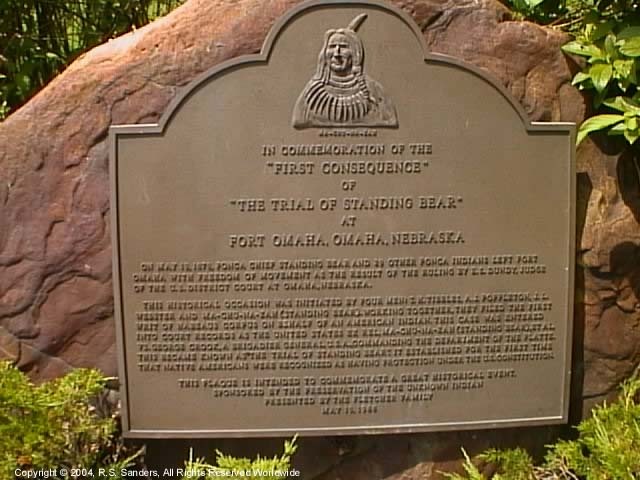 "THE TRIAL OF STANDING BEAR"
OF THE U.S. DISTRICT COURT AT OMAHA, NEBRASKA. This historical occasion was initiated by four men: T. H. Tibbles, A.J. Poppelton, J.L. T.S. George Crook, a Brigadier General U.S.A. commanding the Department of the Platte.